The family named Borghese came from Tuscany. They moved into Rome in the 16th century. One of their descendant – Cardinal Scipione – has been a fundamental stone in the history of Arts in Rome. During his life (1579 – 1633), Scipione Borghese opened the Villa named after his family. The Villa, which you can visit today, is home to one of the 4 museums in Rome you must see and to some of the most beautiful gardens in the city. Galleria Borghese – or the Borghese Museum – opened in the 17th century as the private collection of Cardinal Scipione Borghese. He managed to collect sculptures and paintings from his favorite artists. 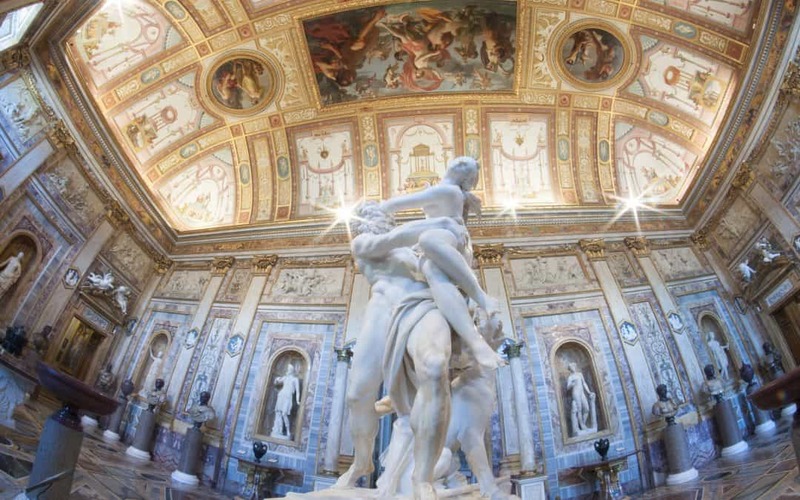 With its 20 frescoed halls, a Portico and the infamous Entrance Hall, the Borghese Museum is a must-visit when you are out and about exploring the Eternal City. And that’s not all: our private tour can also take you to a special hall – not opened to the public – called “Depositi di Galleria Borghese”. That will give you the chance to check out another 260 paintings that are held in a private room, but please – make sure you contact us in advance for this special visit. 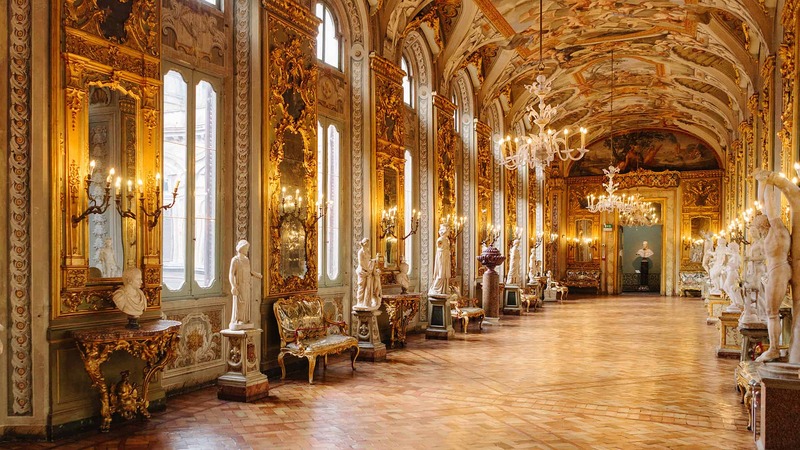 One of the major private collections in the city, the Doria Pamphilj Gallery fits perfectly in the 4 museum in Rome you must see. Situated in the central Via del Corso, the gallery is only open to the public at certain times and days – joining our Museum Tour will take you to discover the best masterpieces amongst all art works in the Gallery. The family Pamphilj started a private art collection with Giambattista. He became Pope Innocenzo X in 1651 and decided to leave all art pieces to his nephew Camillo. Camillo and his wife, heirs of the Pamphilj family, added more pieces to the collection and decided to set it in a palace in Via del Corso – the place we are going to visit during this special tour. In 1970 the family – by then called Doria Pamphilj – added to their collection a few decorated tapestries and other masterpieces. All of the art works collected through the years are now displayed in the biggest private building of Rome. 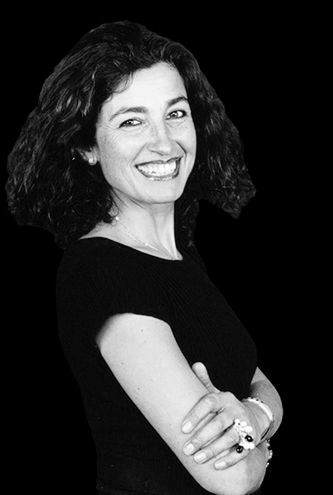 A few Halls and a Chapel – designed by Carlo Fontana – await our visit. Most of the paintings are held in 4 frescoed galleries around the courtyard. Also, the palace hosts a permanent exhibition called “La pittura di paesaggio nelle Ville Doria” – with landscape paintings. and many other masterpieces from the Renaissance and the 17th Century, works of artists like Tintoretto, Tiziano, Raffaello, Caravaggio, Parmigianino and Bernini. And here we are, more than ready to carry on with our special tour and discover the top 4 museum in Rome. 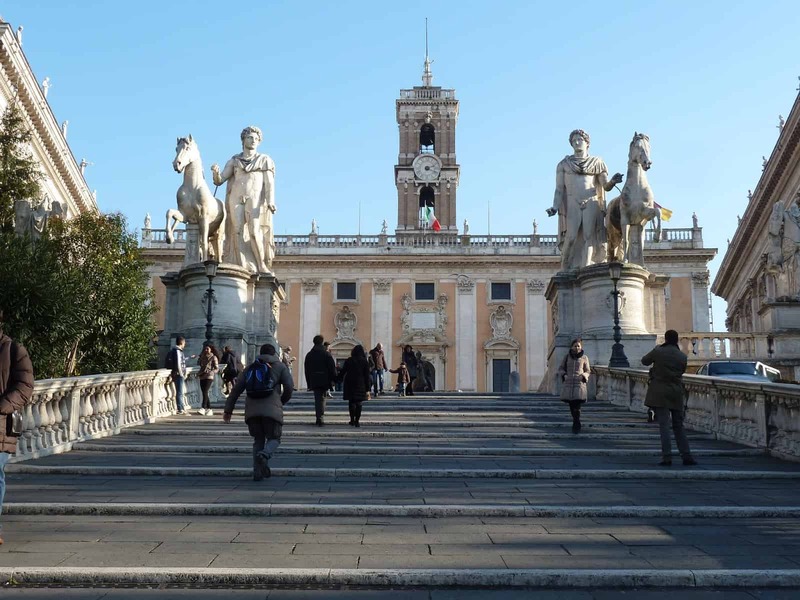 Our next stop is Piazza del Campidoglio, on the Capitoline Hill: the Capitoline Museums are a collection of some of the oldest art pieces and sculptures in the city. Palazzo Nuovo, built in the 17th century following the design of Palazzo dei Conservatori. My museums tour will make things much easier and give you the chance to explore the most important masterpieces in the 3 palaces and to learn their tale. 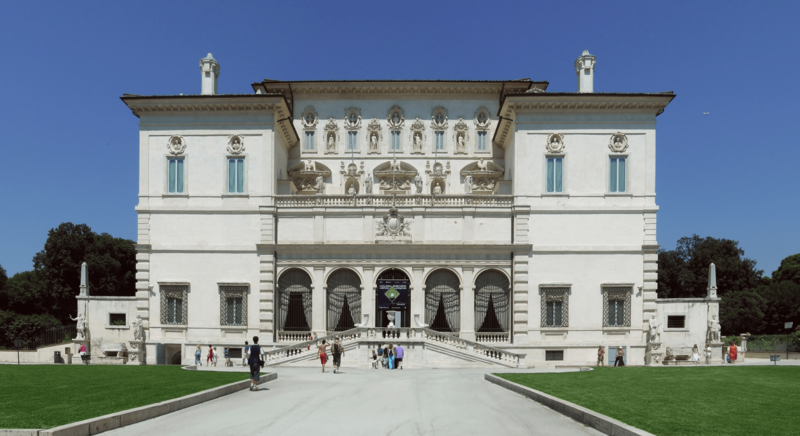 This important museum – not to miss during your trip to Rome – started as early as in 1471, when Pope Sixtus IV donated a collection of antiques to the population of Rome. The collection was deposited on the Capitoline Hill and can still be visited in the museum. collections of jewels, coins, and other items. Last – but not least – the tour you are going to take part of is making a final stop at one of the most important collections of art in the city. The National Roman Museum develops in several branches around the Eternal City. The tour will take you to visit the biggest and primary venue: Palazzo Massimo alle Terme (but feel free to contact me shall you like to visit the other palaces too). Palazzo Massimo alle Terme was a private building and originally a Villa, then seat to the Collegio Romano, a high-school and finally a military hospital during WWII. The Italian government acquired the palace only in 1981. Work started in 1983 and the museum – as we can see it today – opened in 1995. 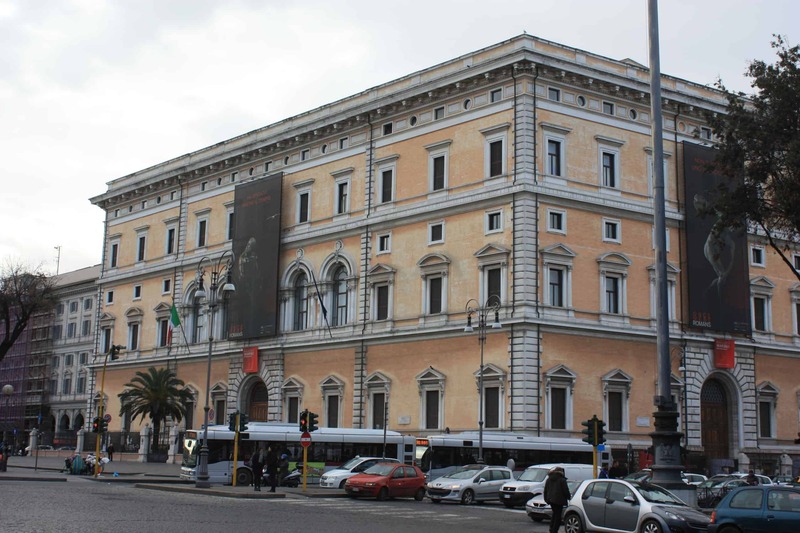 Not only part of the National Museum, Palazzo Massimo is also seat to the headquarters of the Italian Beni Culturali (Cultural Heritage). Still wondering why we have included the National Museum in the 4 museums in Rome you must see? Here is another reason for you to visit: one of the rooms in Palazzo Massimo alle Terme is completely dedicated to a mummy, found in 1964 on the Via Cassia. The mummy was found inside a rich sarcophagus, together with many jewels and artifacts – all on display. And that was the final stop of our beautiful museum tour, but feel free to customize it with more than just those 4 museum in Rome you must see.